There are many misconceptions about the lights in our home and offices. We present actual facts and dispel the haze surrounding the lighting technology in this page. The traditional incandescent tungsten bulb is on its way out. It consumes too much of current and has poor efficiency. The compact florescent light (CFL) and the newer LED lights are efficient and consume lesser current than the incandescent bulb. But there are some caveats. This table shows the cost comparison of various light bulbs – LED (Light Emitting Diode) , CFL (Compact Fluorescent Light) and the conventional tungsten incandescent light bulbs. 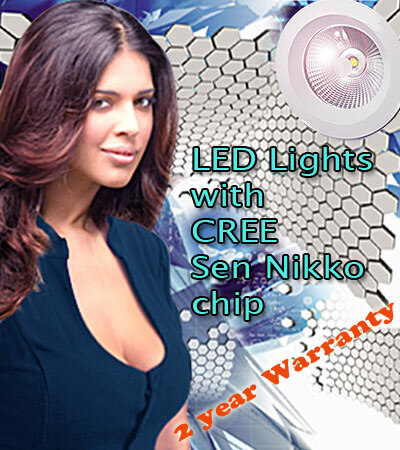 LED Lights: Actual LED chips last 50,000 hours depending upon the manufacturer. What happens usually is the quality of light and the color rendering index (CRI) comes down towards the end of their useful life. The light starts dimming in the case of some manufacturers. A LED light has another electronics too - the driver circuit. The driver circuit drops down the mains volt 230V AC to what is required for the LED chip - in the range of a few volts DC. This power electronics, unless well designed and generously rated, can also be a source of failure. Light Spectrum: Incandescent bulbs offer the kind of light (3300 K) closely resembling the fire, which for most of the humanity, represented warmth and hearth. The natural sun light on the other hand was too 'cold' with a much wider light spectrum. Without the conditioning of human preference, you select the color temperature based on the requirement. A study hall requires higher level of illumination and preferably a broader light spectrum. A natural light (5500 K)LED would be better. Where the light is needed for close inspection, reading or spot illumination, again natural light – cool light will help your eyes to discern the details. Bed room and living room may benefit from a warmer color lighting to impart warmth and coziness. Some Points to consider: LED/CFL light bulbs are directional unless fitted inside a diffuser or luminaire. Because of their efficiency, even a 5 W bulb can throw a lot of light output. If they directly hit your eyes, their blue light output can cause cataracts and age related macular degeneration as some studies show. You need to be wary of the angle of incidence of the light and the ill effect on eyes when you choose your light fittings. Remember that we spend a large part of our waking life under the artificial lights of our home and office.